When I was in college I dated a guy who never bought Christmas gifts until Christmas Eve. He then went to Walgreens/CVS or any store still open past 8pm on December 24th and purchased presents for everyone. His family found it endearing. Me, not so much… It might be a little late this year to get these items as Christmas gifts, however with rush shipping they might get there, or they’re great for January gifts, New Years gifts, anytime gifts or Birthday gifts! 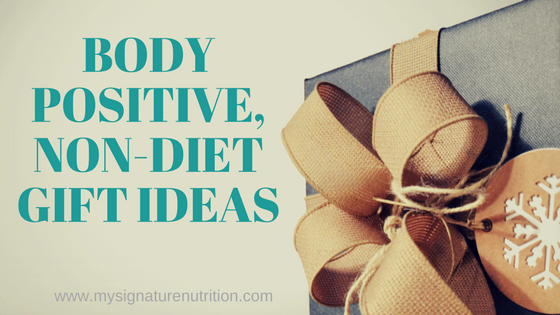 So here’s my list of favorite Non-Diet/ Body Positive gift ideas great for someone: tired of diet culture, working on intuitive eating, recovering (or recovered) from an eating disorder, who promotes body positivity or size acceptance and well-being. Enjoy! 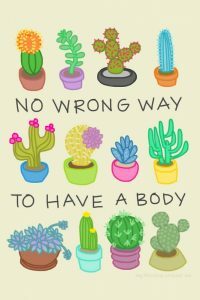 I love this cactus “No Wrong Way To Have A Body” art work by Rachele Cateyes. 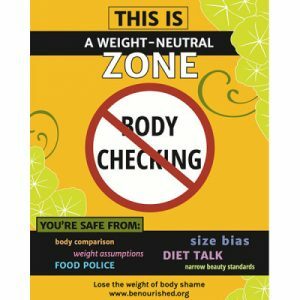 Wouldn’t it be nice if you walked into your doctor’s office and saw this poster on the wall instead of some fat shaming poster? The image can be made into many other items. I also love the journal, the pillow and the coffee mug! Body Love Tees from Jamie Lee. 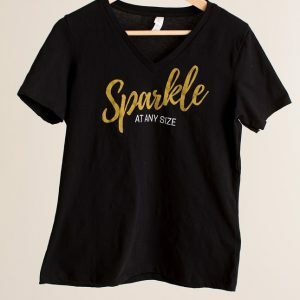 She has lots to choose from, but my favorites are sparkle at any size and take up space! 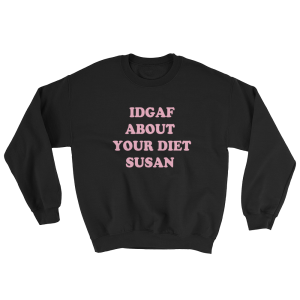 IDGAF About Your Diet Sweatshirt. Okay maybe not appropriate everywhere, but I love this. Yes, please- stop it Susan! Body over Mind Apparel. Love their IEat. Shirt. Might get a lot of questions with this one, but it does put it nicely! 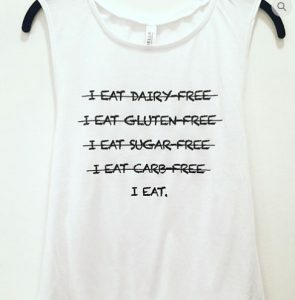 Oh how much simpler it would be if everyone just ate. Body Trust has a lot of different products to offer and they’re all great! I particularly like their weight neutral zone posters and door hangers. Love all of these, but particularly the mindful eating cards from the Mindful Dietitian. What helpful reminders for building food peace! *The images of the books are affiliate links through amazon. If you purchase through the link I receive a small commission from your purchase, however none of the links above for products are affiliate links- just things I like and want to see more of in our current toxic, diet culture! Know of something that you think should be on this list, let me know! A list of things that you like about your loved one that doesn’t include anything about the way they look or their body i.e. their sarcasm, the way you can tell them anything and they never tell anyone. how they can hold a conversation with anybody, how they can always make you laugh, etc. A foot massage or back rub. It doesn’t need to be from a professional, just given with love and without judgment. Time together doing something they enjoy (particularly if it may not be your favorite thing). Some down time. This may seem counter intuitive to giving a loved one a gift, but especially during the holidays when things are SO busy and there is pressure to enjoy and love everything- it can get really overwhelming. So sometimes the best gift for someone working to make peace with food or recover from an eating disorder is just some down time to relax without any pressure or expectations.